I enjoy posting interviews with authors I like and respect, but it has been a while. I now come bearing Carol Oates, so I know you’ll forgive me for the lapse. Carol’s work involves a great deal of Ireland, Irish mythology, Irish slang, and Irish snark. Anyone wondering why I like her? Anyone? You’ll like her, too, after you spend a few moments with her. My latest release, Ember is about a girl called Candra who falls from the upper level of a parking garage and sees a young man with wings before she passes out. She wakes up in hospital and quickly finds out her existence will end a peace treaty among angels on earth. She must choose a side or risk a war. Her problem is no one is what they seem to be and her heart is leading her in a direction she shouldn’t go. Sebastian is a Watcher angel, abandoned on earth after a war to wipe out the Nephilim. He is deeply tormented by his past and struggling to come to terms with his present. He never expected to find himself protecting one of the creatures that cost him heaven from his oldest enemy. The first thing I remember writing was ‘Our News’. It was a writing exercise for telling what we did the previous day. I couldn’t have been more than six. The first fiction I wrote was about an all-girl band called Gem, led by two sisters named Sydney and Max. Sydney went on to marry an actor and had a difficult pregnancy before she gave birth to twins. She later divorced and then remarried the same person, gave up her music career and became a doctor. Her younger sister, Maxine married the lead singer of a successful band. She didn’t want children. Maxine went into fashion at some point and was always playing matchmaker every time her sister’s relationship hit the rocks. It was a collab with a school friend and a total soap opera with guest appearances from a number of celebrities. I think we would have been about ten at the time. Is that a trick question? lol I called my brother to see if you were trying to shrink me. He said my suspicion and the way I stressed over getting the ‘right’ answer said more about my personality than the question. 🙂 So, stripes…no, plaid. No, stripes. Can I have both? I want to do everything, I’m greedy like that. lol. Seriously, when I decided to pursue publishing as opposed to writing and not sharing it, I didn’t know what I wanted. I thought I did and almost became the victim of a publishing scam. I began to learn the business. I figured if i just wanted to be a part of an industry that I’d better start learning that industry inside and out. I hit another hurdle when I again tried to step into a business I wasn’t ready for and I became overwhelmed. It wasn’t helped by personal issues at the time. As that point I stepped away from writing completely for the first time in my life. I trunked everything and didn’t write for a year. I consider myself lucky that one day I stumbled onto a story online, a piece of fanfiction. I began chatting with other women reading the same story and that eventually led to setting up a closed social group. I virtually met some wonderful women. What started out as screen names and a place to have a laugh became real-life friendships with some of the most wonderful women I know sharing our best ups and worst downs. Through them I got my mojo back. I went back to the drawing board and asked myself what I wanted. I decided I still wanted it all(seriously, sometimes there is no stopping me) but I decided I wanted to approach it like I would any job, slow and steady. At that point I had no intention of self-publishing. I simply wasn’t ready for it. When the opportunity to submit Shades of Atlantis to Omnific Publishing came up, I measured my expectations against what they could give me. It had been less than a year since their first release and I knew it was a risk submitting to a new kid on the block. Of course, I was a new kid too. I felt we were a good fit and strongly believed it was a company going places and I wanted to go with them. Obviously, I was over the moon when I was offered a contract. Right from the beginning I knew I’d made the right decision for me. Going with a brand new, small publisher won’t suit everyone nor would I advise it to everyone. My publisher has always been incredibly supportive and continues to grow. So when it came time to submit my second novel, Ember, I didn’t hesitate. Again, it’s been a wonderful experience and the authors I met though Omnific Publishing, the readers and reviewers gave me the confidence in my writing to try self-publishing for the first time. I wrote a short story for an autism fundraiser. When the fundraiser was over, I re-edited and added to Unfinished. Self-publishing is hard. I mean, I knew it would be a lot of work. I wasn’t prepared for the sense of free fall that comes along with it. Everything was up to me. I was responsible for content, formatting, cover, dealing with distributors and marketing it. All with no safety net of a publisher. Scary stuff. Maybe I’m a glutton for punishment but because I wanted to learn all I could about all aspects of publishing, I was determined to do it all myself. Aside from editing, I did it all. I taught myself how to format and drove myself crazy because of that extra space I found in the fifteenth version. I designed the cover and then redesigned it three times. I uploaded to smashwords and, I’m glad to say, passed the meatgrinder first go. Next, I loaded to Amazon. I uploaded the wrong file… twice. Set it at the wrong price and in the wrong genre. Eventually I decided I had to let it sink or swim. So far it’s floating happily and is now free from most vendors. I’ve finished the sequel for Ember. I’m revising, revising, revising based on early feedback. One of my pre-readers is expecting it by the end of next week. I find I work better on a deadline. 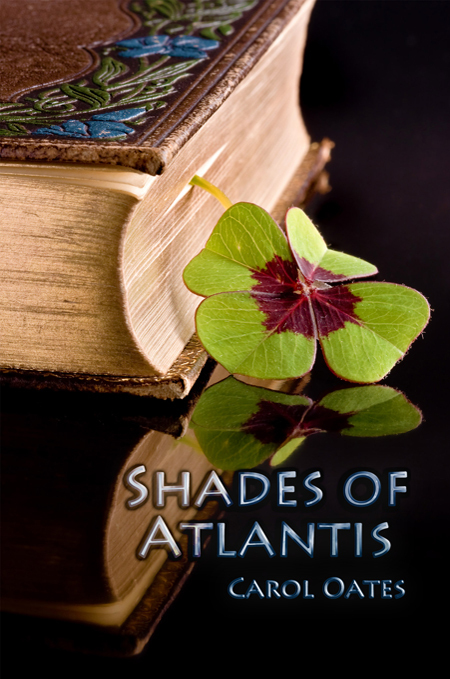 I’m also working on the sequel to Shades of Atlantis. I hope to have that finished by the end of the year. After SoA, I’ll get back to adapting a script to a novel. Did I mention I also wrote a script because I wanted to learn that process too? 🙂 One of the characters from the script appeared in Unfinished. Then it’s a dark vampire novel I’ve been adding to on and off since last year. Basically I’m set for the next while. I’ve looked hard but I don’t see whiskey and chocolate on the list. Haha. The last few months have been a bit crazy and I’ve been snatching writing time where I can, so I haven’t had time for many rituals. On a very good day it’s a tuna melt and a mocha. I stole my brother’s soul and sacrificed him to the book demons. 🙂 At least that’s what he tells me when he reads my work or catches me jotting down our conversations on post-its. My brother comes out with great one-liners. We share a very Irish sense of humour, quite dry and brimming over with banter. I see bits of him in several of my characters, not always the guys. lol Don’t tell him. There is also a little of me in all of them. They live in my head and absorb bits of me by osmosis before crawling out onto the page. Not a pleasant visual, I’m sure. Other than that, they are pure fiction. The thing about fictional characters is they become real to the author. If they aren’t real to the author, how can they be real to the reader? For me, I can’t really base them on anyone, they would pitch a fit and refuse to co-operate if I tried to box them in to fit anyone I know. The brolly in my handbag is black and folds up tiny. Disclaimer, I’ve said this before, but it’s worth saying again I have a few favorite authors but I think if I was to choose one over all. No contest, William Goldman author of the Princess Bride. The book is fantastic and I’ve read it at least twenty times. Most people know the book or the movie but not the back-story. The book was published William Goldman as an abridged account of story by S. Morgenstern and Goldman comments throughout. S. Morgenstern doesn’t really exist, yet is presented as a real person. For years, legal difficultly with Morgenstern’s ‘estate’ prevented the sequel, Buttercup’s Baby being published by Goldman. For me it is the ultimate dream within a dream and that’s what we writers are all about. The world Goldman created around the book, bringing it to life, it’s an example of what I would love to achieve one day. The mini website, where you can request a scene deleted because of legal issues with Morgenstern. I won’t ruin the surprise by saying what it is. I do it all. If the locations are near, within reason, I go to them, especially the locations in Ireland. I recently wrote a post about scouting locations for a house. I clocked up a lot of miles. SoA was set in Maine, London, Dublin and Meath with a mention of Vincennes near Paris. I’ve visited all but Maine and relied on extensive research of the area. For a short story called The Summer Prince (currently out of print), I went down to a little country village in the middle of Ireland and wandered around for a few hours to get a sense of the place. Ember is set in Acheron. A fictional city with elements of New York, London, Paris and Madrid, again places I’ve been. I melded them together using artistic licence as glue. Sebastian’s eyes lowered, and she followed his line of sight to his chest where her hands were pressed against his white t-shirt, her fingers slightly bent. She could feel heat of his skin radiate through the thin fabric and penetrate her fingertips. Still, it took a couple of seconds before she could move. Sebastian had that effect on females, much like the effect Lofi had had on the guys a few moments ago. “You’re not very observant, are you?” he quipped dryly. Sebastian let out an exasperated sigh. “Hmm, yeah, whatever. It wasn’t a conversation starter.” He took her bag from her shoulder without asking and added it to his with one hand. In the other he carried a faded brown leather jacket clamped between his fingers. He didn’t tell Candra to follow him or even check to see if she was still with him when he walked away; he seemed to simply presume she would be, and she was. “A meeting,” he replied without looking at her. “With who?” Candra had to take some quick steps to keep up with his long strides. She wanted to see his face when he answered. “An old friend,” he said, taking her by the elbow to cross the street, looking up and down for traffic before guiding her the way a grown up would do with a child or an old person. “I could,” Candra snapped defiantly. They had come to the gates of the small park she always cut through to get home from college. “Call it women’s intuition,” Candra said dryly. Candra bit her tongue, choosing to ignore the bait. There weren’t many people around the park; it was mainly used as a shortcut through a city block. There weren’t even any trees inside its boundary fence, just a few bushes, one of the many angel monuments scattered across the city. The nearest one to them had its hands clasped in prayer and looked to the sky as if it was waiting for something. A narrow pathway wound through the grass and past a collection of boulders that didn’t look like they belonged there. They could have been some trendy form of modern art, except they had been there so long some of the stone had been worn smooth from people sitting on them. Candra took a deep breath, hoping she wasn’t starting a conversation she couldn’t take back. She wanted answers so badly she could taste them, but at the same time, somewhere in the back of her mind, she considered the possibility Sebastian could tell her things she didn’t want to know. It took a moment for her to notice Sebastian wasn’t beside her any­more. She turned around to see he had stopped dead about five steps behind. He was doing that thing again, where he made her feel he wasn’t looking at her, but rather he was looking through her, as if he could look into her mind and dig out whatever she was thinking. It was unnerving the way his brown eyes darkened intensely. She felt exposed, and she had to fight an urge to cross her arms over her chest, except she refused to give him the satisfaction of knowing he could affect her. Unfortunately, she couldn’t shake the feeling he already knew. He didn’t answer. He wasn’t even moving apart from his impossibly long eyelashes fluttering when he blinked. “I make you uncomfortable, don’t I? That’s why you don’t like me,” she suggested in a hushed voice. Still he said nothing. An old couple walking past on the pathway had to step around them to get by. The woman glared at both of them in turn, clearly disgruntled by their lack of manners. Candra mused over what they must look like to outsiders: her in her Saint Francis uniform and him looking moody and modelesque, like he’d just stepped off a movie screen and into real life. Finally she approached him, bringing herself so close she was look­ing up to his face. He was taller up close, at least a head over her, so she couldn’t meet his eyes when he looked straight ahead of him, but she tried. “Tell me who I am,” she demanded. Sebastian looked down to her then, gold and amber flickered in his eyes blazing like a hot coal fire. Candra could see her own reflection in the deep blackness of his pupils and knew she had asked the right question. “We didn’t fool you for a second, did we?” Sebastian kept his fiery gaze on her. Candra guessed he was about to inadvertently spill the beans on everything. All she had to do was play along. “No, you didn’t,” she stated coolly. They were so close now she could feel the heat rising from his body. Her heart sped until it was galloping along, and her temperature shot up, mingling with his heat between them. A small muscle twitched at the side of his mouth, and his hand came up to rest on her shoulder. She couldn’t breathe. Even through the cotton of her school shirt, Sebastian’s touch burned her skin. Then he did something Candra didn’t expect — not in a million years. Candra couldn’t move. Sebastian was going to kiss her, and she was amazed to realize she wanted him to. All of a sudden her blood was like acid burning through her entire body, and her head felt clouded. She was putty under his hands. It wasn’t like she had a choice; she had to kiss him. Her lips parted in anticipation, her head tilted back, and without conscious decision, her eyes closed. Behind her eyelids, fireworks exploded, white fireworks. They could have been anywhere; she didn’t care. It was as if time slowed down. Se­bastian’s breath was hot as it brushed the side of her face, and he smelled delicious, like cool, fresh mint mingled with musk and salt. She didn’t know how it happened. A few moments ago she couldn’t stand him, now she couldn’t think of one thing in the world she wanted more than to feel his lips moving against hers. Sebastian slid his hand slowly and intently up Candra’s neck, absorb­ing the shiver of her skin through his fingertips and leaving a trail of goose bumps over her flesh. His other hand brushed hair from her face, and his lips parted close to her ear. Candra let out a quiet gasp. Thank you for having me at your site today. It’s been fun. 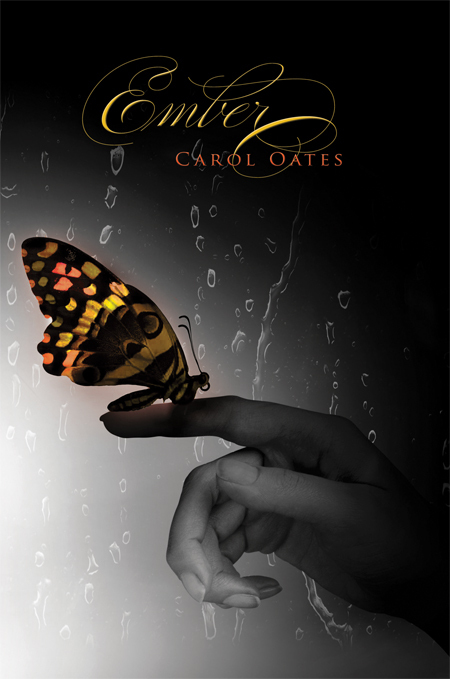 Ember is Carol’s second full-length novel, following her impressive first outing of Shades of Atlantis. 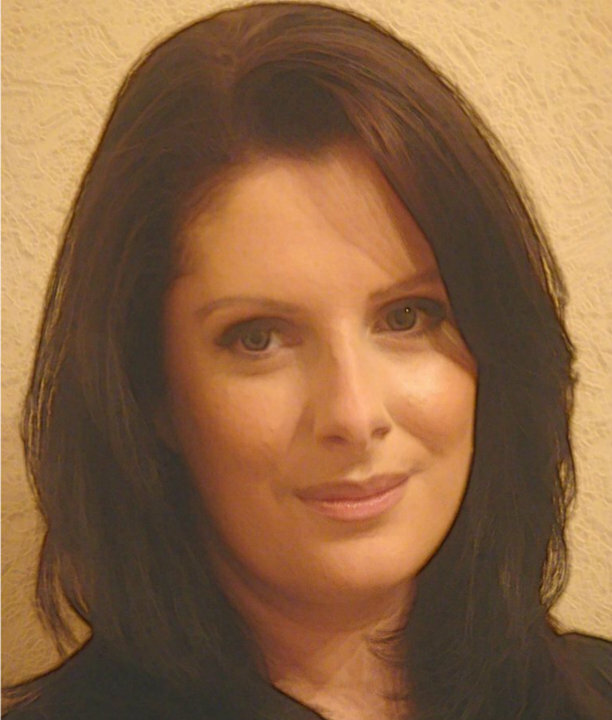 Be sure to visit her Blog, follow her on Twitter, become a fan on Goodreads, and check out her Facebook page. Lastly, enjoy the book trailer!